This beautiful infographic comes courtesy of the Extension at the University of Illinois. The tips provided can easily be combined with a baby sign language curriculum. If you don’t have your baby sign language resources yet you can find them at our baby sign language shop. Let’s talk baby anxiety. One of the most commonly voiced concerns from parents is knowing how to meet and understand the needs of their babies. The earlier a parent learns to recognize and address specific needs and wants the better it will be for everyone involved. During the first six months every mom and dad makes a concerted effort to identify general needs for food, warmth and security. But even when a parent invests a great deal of time and personal attention with baby it is not uncommon to face a tantrum or a frustrated child who is unable to voice their true needs. Teaching our babies how to sign will give them the communication tools needed for the pre-verbal stage. During the pre-verbal stage babies are not anatomically or intellectually ready for speech but are able to understand concepts. Language development begins during the neonatal stage but most little ones don’t begin speaking until age one to two. Let’s take a look at five common situations where having mastered basic baby signs will make a world of difference. When we developed our introductory guide to baby sign language we asked many friends and everyone agreed that hunger and thirst are the most common reasons for a frustrated baby. In fact, if there is one sign you want to teach your baby first, it is the sign for milk. For some parents this is done in the context of lactation, for others the sign is introduced as soon as the baby begins to take formula. We loved introducing our babies to signs related to environmental comfort. Cold and hot were part of our ten first signs. We reinforce the signs by signing cold when we are about to go outside and signing hot when our babies get sweaty and we are about to remove their layers. We also use games of contrast by putting a couple of bowls with iced water and warm water. We firmly believe that affection and attention are as important as food. To help our babies communicate emotional needs we incorporated signs like hug and scared. We also taught our kids to sign when they wanted to be picked up. Every baby is unique and they will form unique interests based on their personality. When babies become bored it is not uncommon to see expressions of frustration and anxiety through crying. To help your baby further explore his interests consider teaching signs for objects and locations that bring your baby joy and satisfaction. We were quick to introduce the signs for playground, bear (for a favorite teddy) and outside. It is beautiful to see our little ones sign to let us know their specific desire to engage with a particular toy or head to a certain setting like the park. We can’t emphasize this enough. Knowing the signs that identify those that mean the most to our babies will totally change their communication dynamic. Signs like mom, dad, grandma and nanny can allow your baby to quickly access the person they need the most. If you have not yet started to sign with your baby we invite you to take a look at our quick start guide. Thousands of parents around the world have benefited from sign language. Don’t miss out on this great opportunity to give your baby an edge. You got the kit, you got the time and you got a baby eager to learn and discover. The first summer with a toddler can set the stage for a lifetime of learning based on exploration. 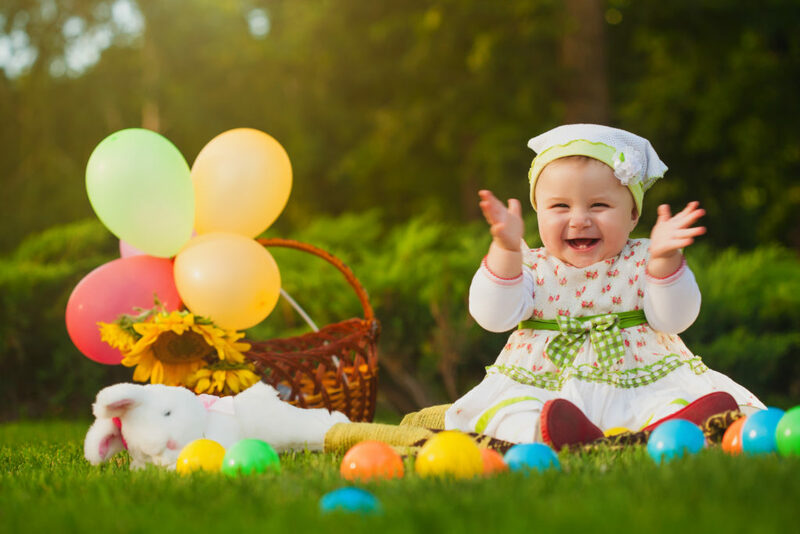 Get your stroller out, put some sunscreen on and let’s do some summer baby sign language activities. If your little one is now walking a pick your own farm is one of the best adventures ever. Pick a fruit that is reachable by little hands such as strawberries or grapes and take time to prepare by selecting five or ten signs relevant to the outdoor experience. One of my favorite things to teach when visiting a farm is flavors, textures and colors. With berries we explored the signs for sweet and sour and we learned colors such as red and green. We also included the sign for basket and we practiced the sign for more. This is a great morning activity when you are lucky enough to have a large tree providing shade. It is also a lovely opportunity to take beautiful pictures of your little ones. Get the teddy bear and doll out, set up a few cups, make or buy a cake and consider playing dress up and wearing a hat. Sign in context and have your little one practice the signs for things like table and chair. If you want to have loads and loads of fun with your baby there is nothing more fun than the playground. Along with meeting other little ones the playground provides endless opportunities to refine motor skills and burn some energy. It is in this context that I have found baby sign language to be the most useful. Being able to give an instruction to my little one when he is not within arm’s reach is the best gift ever. 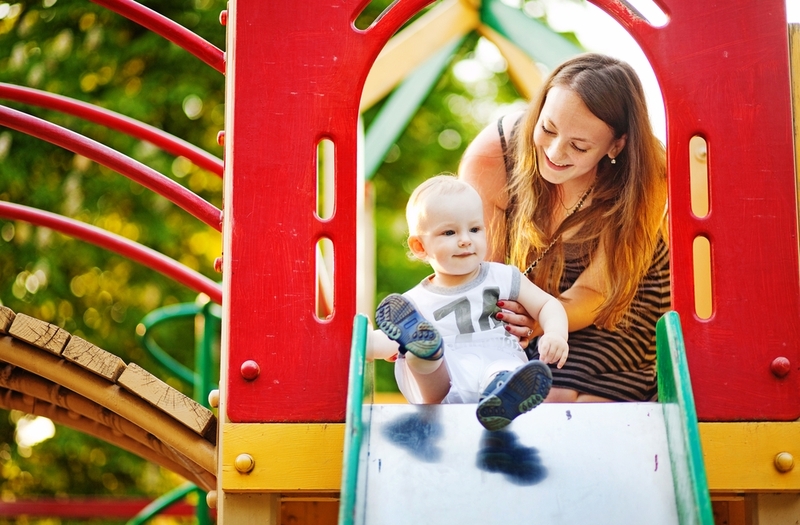 When heading to the playground take time to practice words such as slide, swing and run. This ranks really high in my book. Through summer indoor and outdoor picnics we have had the opportunity to learn and discover new foods and flavors. Get a hold of little bento boxes and have fun helping your baby explore their taste preferences. Their faces when they first experience a flavor is something to behold. Our flashcard kit contains at least 20 food signs that are ready to use. If the day is super hot it is best to stay indoors. We are not huge fans of excessive screen time but a good 30 minutes of sing-along using the Baby Signing Time DVDs may just be the break you need to get things done in the house. 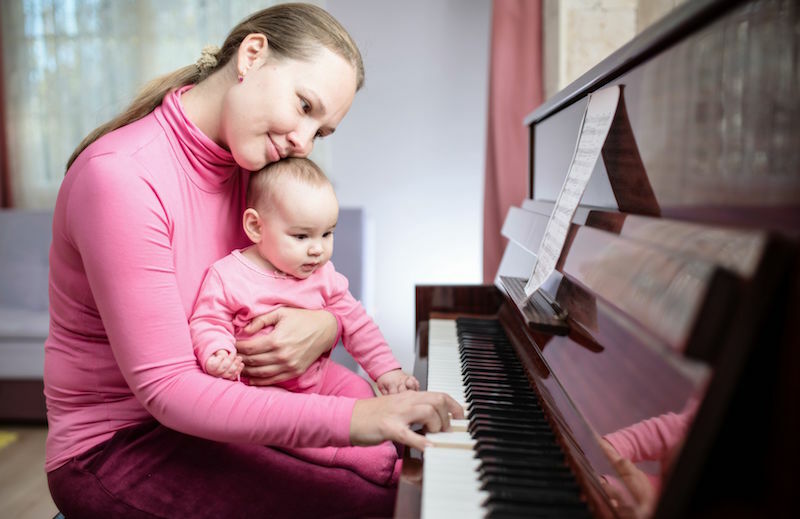 Exposing your baby to rhythm and music at an early age can make a world of difference in their ability to memorize words and repeat new words. If you are reading this chances are you have entered a journey of discovery and learning after your child has finally received an accurate diagnostic addressing speech delays, specifically expressive skills. One of the best news about a diagnosis of apraxia is that your child’s receptive language skills are likely to be typical. Your child therefore understands at the level of peers their age. With this in mind let’s explore ten specific things you can do to assist your child in overcoming communication barriers. It is really tempting to disregard our child’s ability to comprehend when they are unable to express all that they feel, see and need. As a parent you need to constantly remind yourself that Apraxia is a motor disorder totally unrelated to your child’s intelligence and maturity. Take time to engage in age- appropriate conversations with your little one even when he is not quite able to respond. By doing so, you create opportunities for learning and bonding that will set the foundation needed for effective therapy. Each child is unique in the way they respond to therapy. When you are facing a diagnosis of apraxia it is important that your therapist is open to try multiple approaches to allow your little one the best opportunity to overcome their communication barriers. Generally, the most successful therapists are those that are open to experimentation with the end goal of finding just the right combination of approaches to help your child unlock their full potential. Both for your sake and for the sake of your child it is essential that you connect with other parents in the same journey. Having opportunities to engage will let you compare notes while allowing your child to find a social setting of full acceptance where other tools of communication can replace speech and allow for a fully immersive social experience. Overcoming apraxia is all about teaching the brain to make motor connections. Providing feedback that is visual, tactile and kinesthetic is central to helping your little one fully grasp concepts and movements that will allow them to make the appropriate string of sounds. When you speak face them directly, give them a chance to touch your throat and lips when you enunciate a word and teach them to feel their lips as they form new words. Similarly, you can guide their lips with your mouth into shapes that help form certain sounds. Inability to convey a need does not diminish the importance of said need. As a parent of a child with Apraxia you need to consider how communication empowers us in securing basic needs. To minimize frustration you would do well to provide basic routines that give your child access to food, rest, and hygiene on a regular basis without forcing him or her to communicate the immediacy of their need. In doing so, you reduce their stress level allowing for moments of calm that are conducive to learning. The parts of our brain used for music are different than those used for speech. Because of this, many patients with Parkinson’s observe significant improvement when singing versus speaking. Little patients with apraxia can use music therapy to help them bypass certain areas of the brain when learning to form new words. We can’t say it enough. Your child is as smart and developed as someone whose speech is typical. Because their intellectual development is comparable to that of their peers you need to give them the means to communicate now. Sign Language is a great transitional tool that gives little ones the opportunity to have another avenue of communication until they are able to fully form their words. Our Premium Baby Sign Language Kit is often used by speech pathologists to introduce little ones with Apraxia to signs and their associations to real-life image and to give them access to simple songs that can be associated to words that are essential to their daily activities. Have a pointing board available for your child to give them a path of least resistance for accessing immediate needs. Teach them to form phrases and concepts through pointing. Many of our friends in the Apraxia community use the baby sign language flash card deck as their pointing tool to play games while allowing their toddler to practice new words as assigned by their therapist. 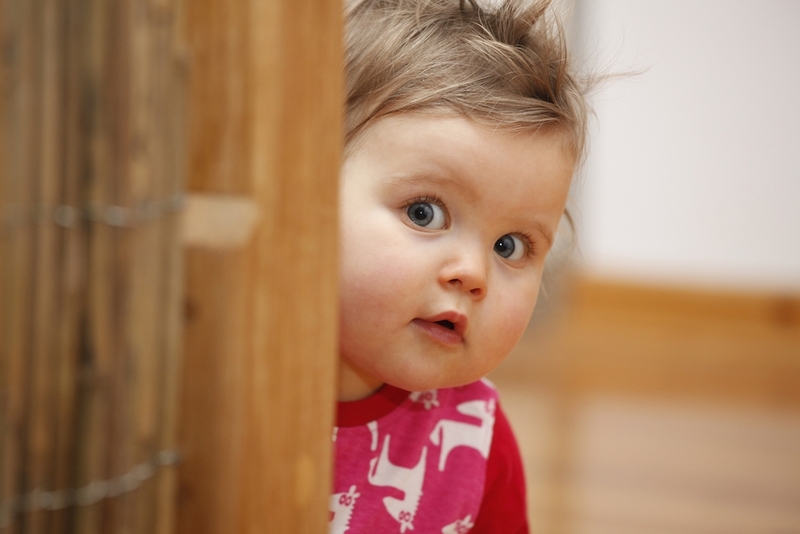 If your child enjoys quiet play don’t force them into verbal engagement at all times. It is quite common for parents of children with apraxia to try to overcompensate and thus take away normal play engagement that is not dependent on verbal interaction. Don’t let impatience take over your life. The fact is, most children with apraxia eventually overcome and are able to fully communicate at the same level as their peers. We are thankful that you are visiting our website. Our digital resources are available at no cost and your can customize them to meet the specific needs of your child. We are here to help and we look forward to hearing how the Baby Sign Language Kit is helping your child overcome the challenges of apraxia of speech. If you have been wondering if baby sign language is for you please keep reading. We compiled a list of parenting styles that have found our baby sign language program beneficial. 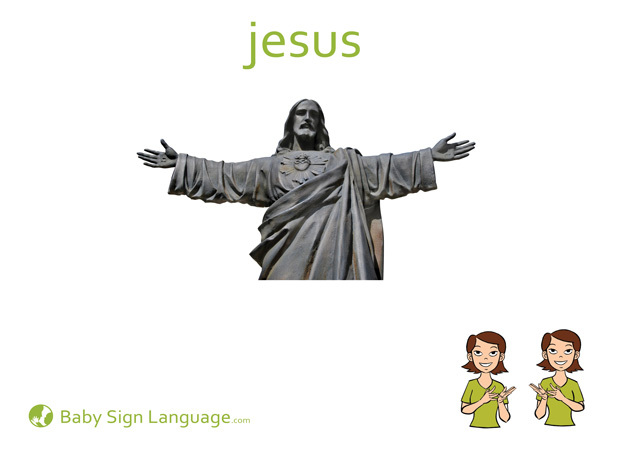 Let’s take a look at how teaching a few basic signs is changing the lives of thousands of families around the globe. If your house is lucky enough to be multilingual and multicultural give baby sign language a try. Signing can help your baby maintain continuity in communication and serve as a bridge between all the languages spoken at home. Your baby will feel empowered and will have the tools to communicate basic needs and wants while discovering how one word in a certain language spoken at home has the same meaning as another word in a different language. You have made a decision that you will mother in a way that is conducive to relaxation and acceptance. You want your baby to feel comfortable and to be able to approach you while feeling understood. Baby Sign Language can equip your baby with core communication concepts that will reduce frustration during the pre-verbal stage. Teaching your baby how to sign does not need to be structured or stressful. You can incorporate signing as a natural part of daily routines like breastfeeding, nap time and play. When life is busy and the chances to bond are few and far between baby sign language can make a world of difference. Teaching baby sign language gives you the opportunity to spend one on one time with your baby in ways that invite you to fully engage through eye contact and manual modeling. By working on their signs you are giving your little one the opportunity to spend quality time with you in a way that allows for your baby to secure your undivided attention. If you are living the dream and each day with your baby or toddler is an adventure of outdoor discovery, you don’t want to miss out on the joys of signing. We have spent endless hours in the garden observing the gifts of nature while learning new signs. Signing outdoors allows you to expand your baby’s vocabulary in ways that help develop his mind and his drive to be curious about the world that surrounds him. If you are constantly worried and looking for better ways to ensure your baby is being cared in the best possible way baby sign language can set the stage for success. Teaching your baby how to sign basic signs related to specific needs will reduce his anxiety and tendency toward tantrums and in turn give you beautiful moments of serenity where you can both bond. There are many ways to have fun with our babies. Signing, particularly when we do it in the context of songs or while story-telling sets the stage for a ton of fun. Be silly, take advantage of facial expressions and have a blast teaching your baby unique signs for animals or toys that fill his world with wonder. 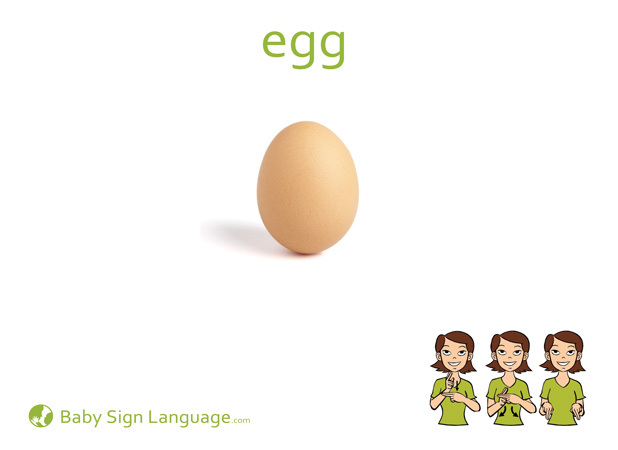 If you are looking for special ways to give your baby a competitive edge you really must consider baby sign language. Not only does it help your baby convey his or her needs during the pre-verbal stage, it also has a correlation with increased IQ. In fact, some studies show up to 12 points difference between babies who sign and babies that don’t. When it comes to signing the more the better. Some of the best video submissions we have received at babysignlanguage.com are videos of twins engaged in signing conversations with each other. If you are a mama of twins or triplets signing can be introduced as a group activity by seating all the babies directly across from you while signing and singing simple songs and pointing to relevant images. One of the best gifts you can give to a first time mama is the gift of pre-verbal communication. If you know a mama who is on bedrest consider gifting her with a baby sign language kit. By the time baby arrives she will be ready to start teaching him and before she knows it baby will be signing his first words. You are no nonsense and your parenting style is focused on results. Baby signing can significantly reduce frustration and will allow you to quickly attend to the most basic needs of your little one without having to engage in guesswork. As little as five signs will suffice to meet daily needs such as hunger, sleep or the need to have a soiled diaper changed. Regardless of your parenting style baby sign language is here for you with thousands of free resources and beautiful baby sign language kits that will help you to learn the basics and implement a strategy to advance into different levels of signing inclusive of transitioning into verbal skills. 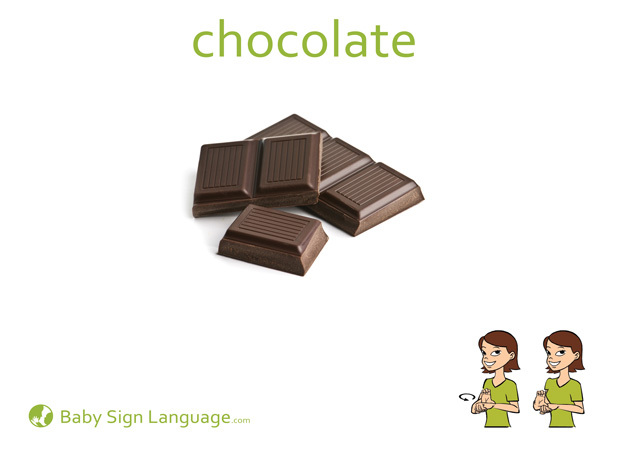 Check out our Baby Sign Language Store. 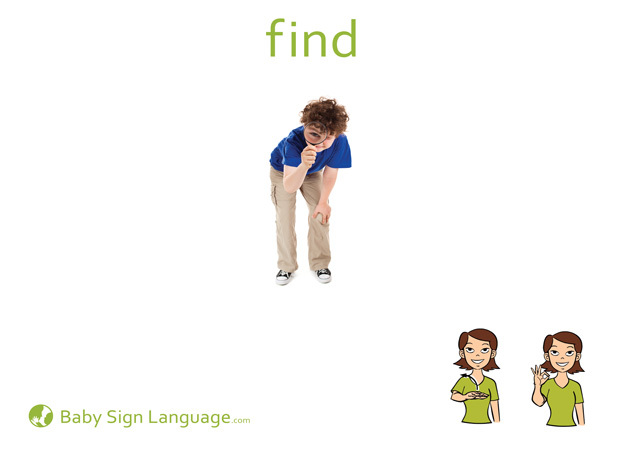 It is not uncommon for people to ask us if baby sign language can be used after a child becomes verbal. The answer to this question is a resounding yes. 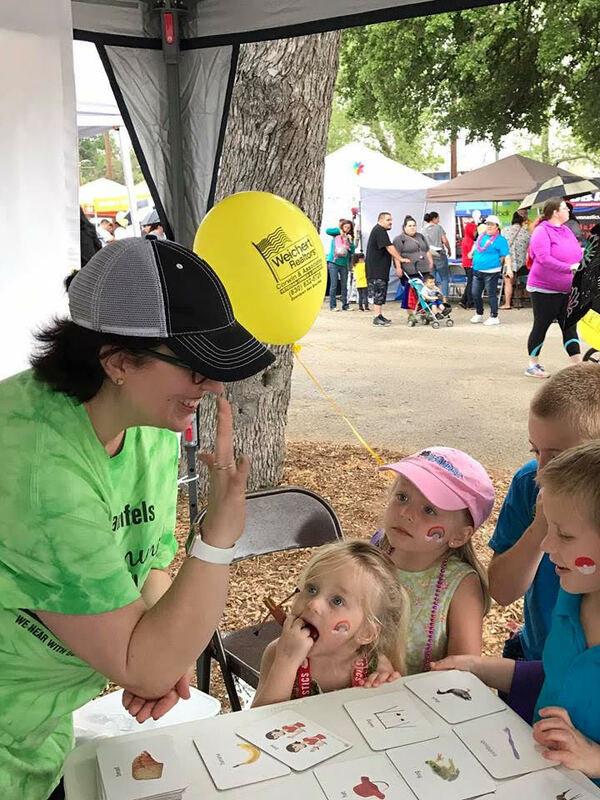 Our baby sign language educational materials are based on American Sign Language (ASL) making them the perfect foundation for a lifetime of learning. Our flashcards are carefully designed to convey concepts with clarity and simplicity by providing real-life images that can be understood by all. 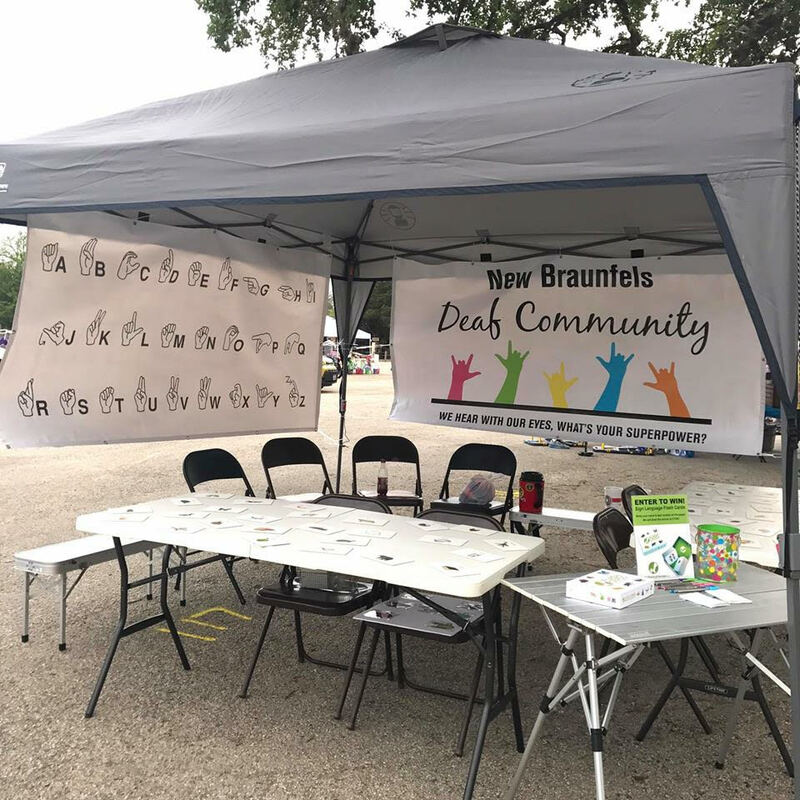 Recently our friends from the New Braunfels Deaf community asked if they could use our cards for interactive engagement at their booth during the annual Kidfest. 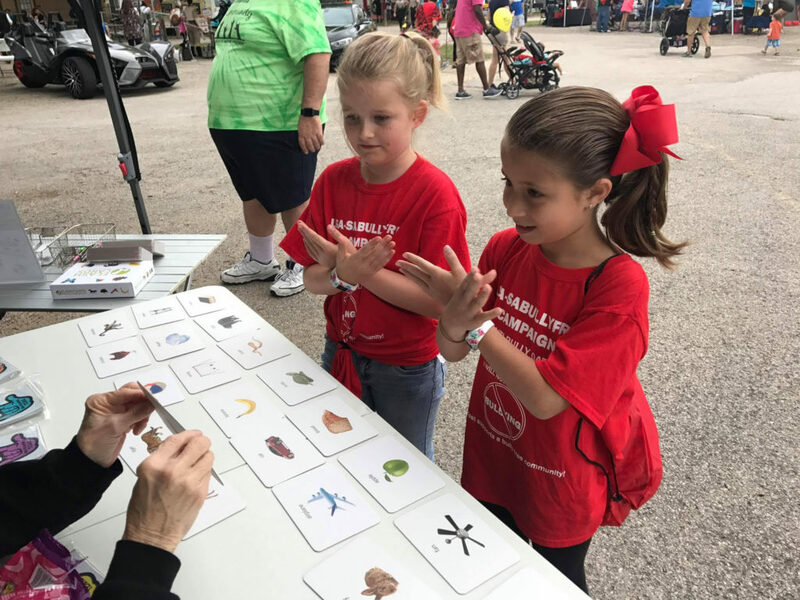 It was super fun to see how people of all ages were eager to learn sign language. If you have ever wondered how long your flash cards will be useful I think the answer is for a long, long time. It seems this year is moving at incredible speeds. I feel like it was just yesterday we spent time talking about the way we would tackle learning baby sign language in 2017. Easter will be here before we know it, and we are going to start working on the skills needed to sign the most relevant baby signs. In addition to the signs of the season, at our home we have started a really fun game. We purchased model farm animals and filled extra large plastic Easter eggs with our three-dimensional figures. We are hiding the eggs around the house and practicing our search skills. When our babies find the egg we open it and practice the appropriate sign. We are having a fantastic time learning new signs and practicing old ones. We are also practicing our grouping skills by having our toddlers pair the model animals with the correct flash card from our baby sign language flash card set. Basically we place farm animal flash cards on the floor and the corresponding model animals in a bag. Baby gets to locate the right card each time he pulls a model toy from the bag. Each time we do it right, we celebrate by signing the proper sign and doing a happy dance. As we get closer to Easter and we get better at signing each animal we are seriously considering using mini gummy fruit bunnies as a reward. 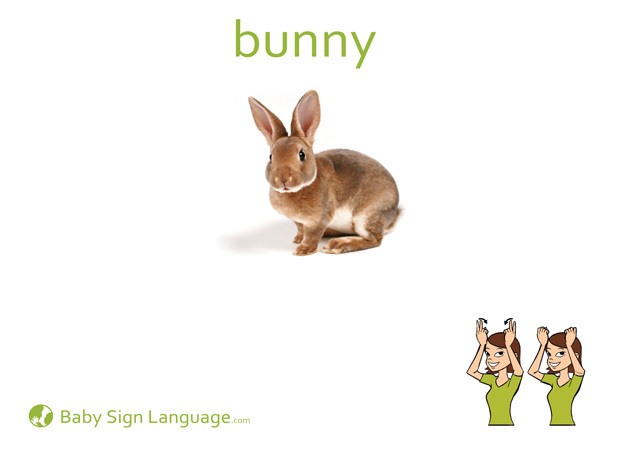 The sign for bunny is super simple and extra fun. You can watch the video tutorial to learn how to sign bunny here. 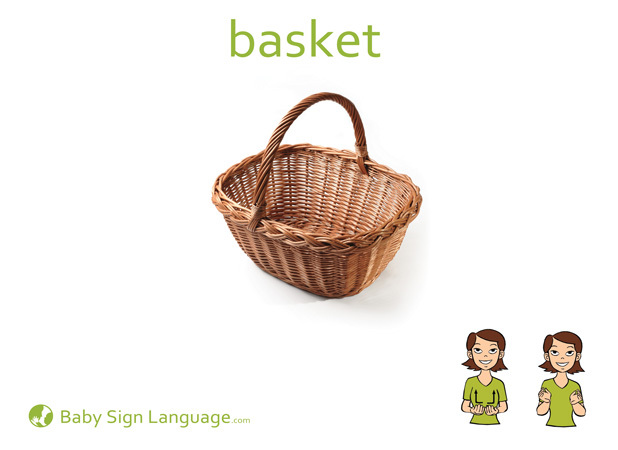 To teach our toddlers to sign basket let them use a small basket to play games in which your baby is encouraged to pick up items of the same color or shape. By playing this game not only do we have an opportunity to familiarize our baby with baskets, we can also help them learn to form groupings. You can watch the video tutorial for basket by clicking here. While we are learning to sign basket why not hide a few objects in order to help our babies understand the concept in a highly contextual setting. You can watch the video tutorial for the sign find here. 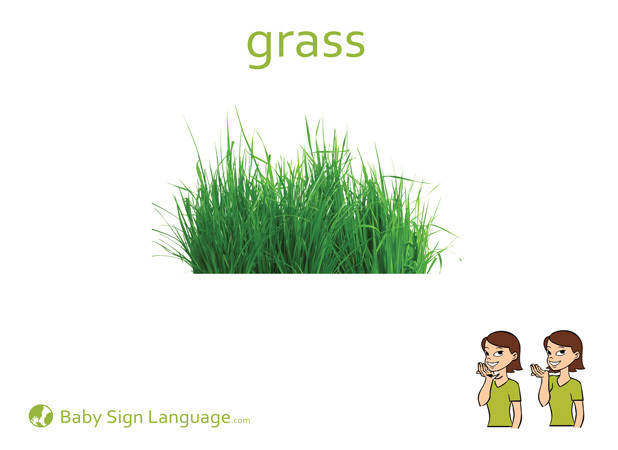 When we teach the sign for grass, we give our baby the opportunity to touch the grass. We also contrast it by walking on the sidewalk and then stepping on the grass. You can find the video tutorial for the sign for grass here. In our home we do pre-Easter hunts. The idea is to help our babies become familiar with the ritual. For our in-home hunts we place small candy inside plastic eggs. You can watch the video tutorial for candy by clicking here. If you are ready to let your little one discover the joys of chocolate begin by letting them taste and contrast the flavor of chocolate against other flavors. We do it by making chocolate milk, strawberry milk and banana milk. You can watch the video tutorial for chocolate by clicking here. We adore this sign. In our home we use the sign for family in the context of a song. We all get to call out our names and then we sign family in unison. You can watch the video tutorial for family here. You are going to see this sign incorporated to many of the song and sign dynamics taking place at various christian denomination churches. You can watch the video tutorial for Jesus by clicking here. We often talk about the importance of teaching our babies signs to help them discover the world around them and effectively convey needs and wants. Often, these needs are based on principles of survival and we focus heavily in aspects such as receiving enough food, water warmth and comfort. To be a well-rounded human it is essential that we go beyond the basic survival needs and we equip our babies to communicate emotions in a way that is empowering and positive. As parents and caregivers we need to guide our babies as they explore positive emotions and navigate through negative feelings. How we handle negative feelings early on will determine future character traits such as resilience and tolerance. When we teach our babies to explore their emotions and the emotions of others it is important that we always guide their feelings towards a place of resolution and well-being. The best time to teach signs and concepts associated to emotions is when your baby first faces the emotion or challenge or he is exposed to others experiencing a particular emotion. For example; we could teach our baby the sign for excited when a sibling expresses joy about a birthday party or a special surprise. On the other hand, if our babies are scared or concerned we can take advantage of the opportunity to teach the appropriate signs. As your baby develops it is a good idea to fine-tune emotions and ask if they are sad or angry. Knowing their exact sentiment will help you guide them through life more effectively. To encourage a balanced approach to the way your little one handles their feelings make sure you teach them positive and negative emotions and the baby signs to support each concept. To provide clarity on the way your baby learns a concept exaggerate your facial expressions. This is a technique commonly used by the deaf community to emphasize an emotion or an idea. 1. 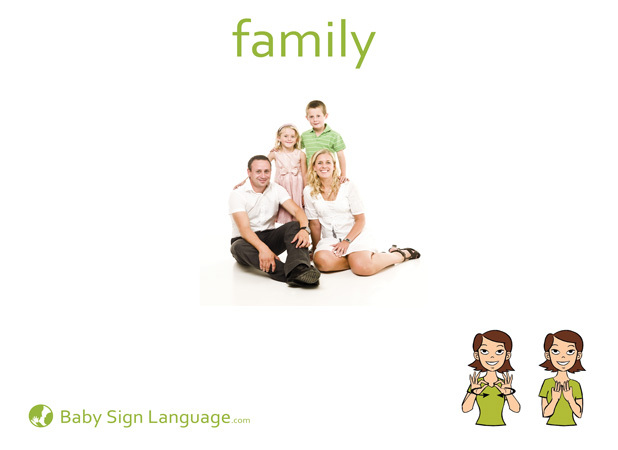 Baby Sign Language enhances the bond with your child. 2. Baby Sign Language reduces frustration. 3. Baby Sign Language gives you an early start for new concepts. 4. Baby Sign Language facilitates caregiver communication. 5. Baby Sign Language increases IQ. 6. Baby Sign Language helps siblings work together toward a common goal. 7. Baby Sign Language refines and perfects motor skills. 8. Baby Sign Language helps the multilingual child make connections. 9. Baby Sign Language makes game dynamics with pre-verbal children easier. 10. Baby Sign Language is great for distance commands without screaming. 11. Baby Sign Language helps your baby expand their horizons. 12. Baby Sign Language aids little ones when unable to speak temporarily for health reasons. 13. Baby Sign Language lets little ones communicate discomfort and pain. 14. Baby Sign Language adds dimension to pre-verbal play groups. 15. Baby Sign Language helps babies convey emotions such as sad, happy & tired. 16. Baby Sign Language is great for adoptive parents trying to build language bridges. 17. Baby Sign Language can help manage negative behaviors such as biting by allowing the adult to sign “stop” instead of raising their voice..
18. Baby Sign Language equips little ones to convey food preferences and dislikes. 19. Baby Sign Language is a great way to keep baby occupied while running errands. 20. 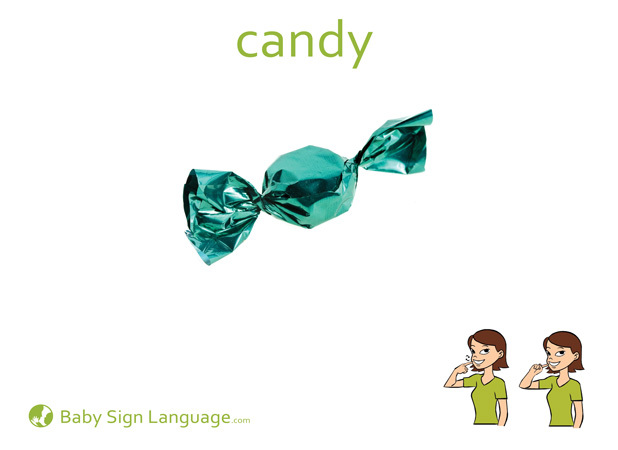 Baby Sign Language can help you introduce baby to groups and set such as colors, shapes, animals or fruits. 21. Baby Sign Language helps improve focus & attention during the first year. 22. Baby Sign Language is an excellent support activity when reading books to baby. 23. Baby Sign Language helps make road trips with toddler more bearable. 24. Baby Sign Language helps your child be ahead of their peers when it comes to communicating. 25. Baby Sign Language adds dimension to teaching baby musical skills. 26. Baby Sign Language makes bedtime routines easier to communicate. 27. Baby Sign Language introduces baby to mimicry setting the stage for life-long learning. 28. Baby Sign Language empowers you and your little one. 29. Baby Sign Language facilitates early social interactions. 30. Baby Sign Language is cool, over 50,000 Facebook fans agree. You are a tired mama. Uninterrupted sleep is not happening, and dealing with colics, sniffles and constant hunger is now your daily bread. We get you. We have been there, we have done that. If this is your first baby you are anxious of the unknown, but if it is your second of third we know parenting a little one is more than a full time job. We also know that there is light at the end of the tunnel. This is a beautiful and overwhelming season and you like many mamas before have what it takes to overcome and succeed. Hunger & thirst are one of the main triggers for upset babies. Signs related to nourishment should be learned early on. 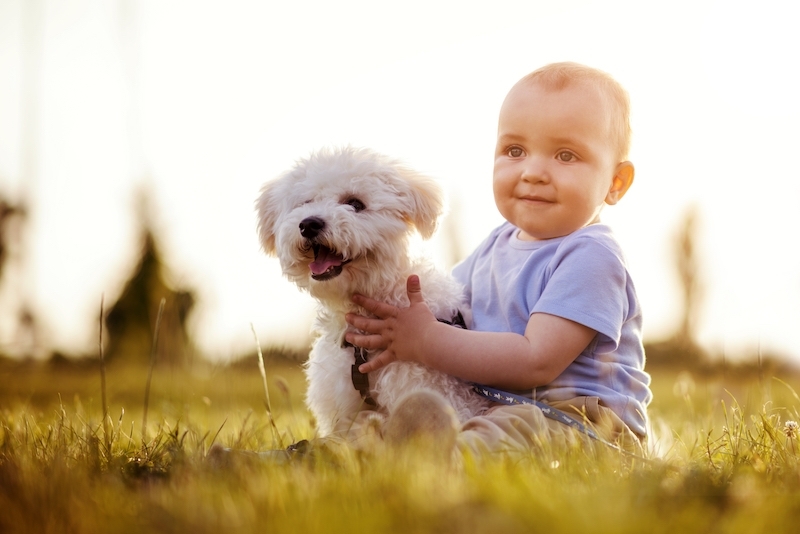 Every little ones has favorite things such as toys, stuffed animals and pacifiers. Here are a few guidance signs for you to learn, but feel free to check out our full collection and find the one that best works for your little one. Tell us about your own customized five top signs list in the comments. We want to hear from you. Yesterday I had the pleasure of chatting with a super sweet preschool teacher in my area. Among other things we talked about using baby sign language in the classroom and dealing with the questions and concerns that arise from parents and others. The most common questions she faces relate to the value of signing and whether using sign language is likely to delay speech. I found her response quite beautiful and worth sharing. Martha explains baby sign language as something very similar to counting. When we teach our little ones how to count we express it through the use or objects and by expressing quantity with our fingers. 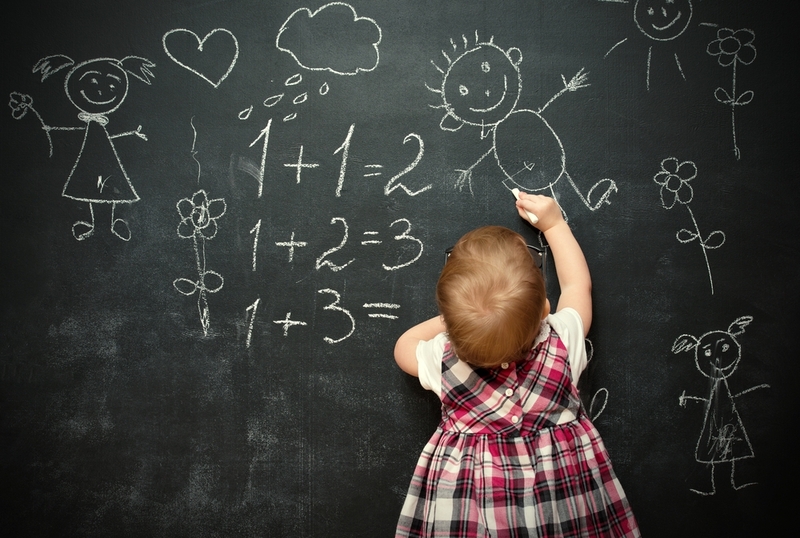 All little ones learn that certain fingers represent a quantity. This learnings do not delay how they absorb other information nor hinder the way they evaluate the world around them. The process of teaching a baby how to sign to convey their needs is no different than learning how to count. And now let’s get busy counting and signing. Numbers in baby sign language are expressed slightly different but if you want to stick the the traditional method of simply showing how many fingers represent each number by all means do it. One of my favorite counting activities consists in spreading all the flash cards on the floor and allowing my toddlers to group categories such as animals, foods and places and then count how many cards we have.